Former Michigan state lawmkaer Rashida Tlaib has won the Democratic nomination to run unopposed for a House seat, setting her up to become the first Muslim woman elected to Congress. She held off Detroit City Council President Brenda Jones in what was a tight race to the very end. 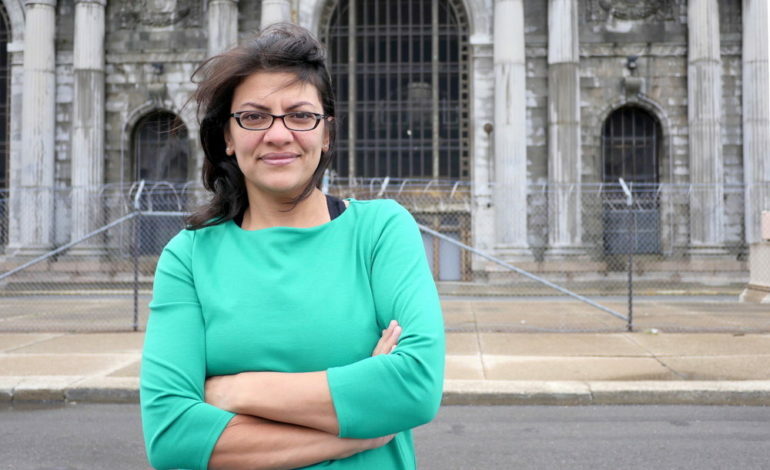 No Republicans or third-party candidates ran in Tuesday’s District 13 primary race, meaning Tlaib is set to win the seat in November’s election. She would take the spot held since 1965 by John Conyers, who stepped down in December citing health reasons amid charges of sexual harassment. She can still be opposed by a write-in candidate, but would be the overwhelming favorite in the deeply Democratic district. Tlaib, 42, was one of more than 90 American Muslims running for office this year. In 2008, she was the first Muslim woman ever to serve in Michigan’s state legislature. Tlaib had won 33.2% of the votes as of early Wednesday morning, with 96% of the votes counted. The first runner-up, Brenda Jones, trailed her by more than 3,000 votes. But Jones is leading in early results for a separate, special primary election to finish out the last couple months of the remaining term of U.S. Rep. John Conyers Jr., who resigned in December.